When Paul Allison asked me if I wanted to teach a course in Bangladesh, my first reaction was confusion. Other than knowing a few basic facts about the place, I had spent little time thinking about the country and none at all imagining myself going there. And here, suddenly, was an opportunity to spend a week in the country teaching Stata. Fortunately my love of teaching Stata was greater than my anxiety because the week I spent in Dhaka ended up being one of the most satisfying of my professional life. Most of the students I taught were participants in the CDC’s Field Epidemiology Training Program (FETP). This worldwide program takes government doctors who’ve been doing clinical work and trains them to be field epidemiologists. All of the doctors had received basic biostatistics training before I arrived. So my primary role was to teach them how to use Stata to implement the techniques they’d already learned in class. The most surprising aspect of this experience was how much we ended up focusing on data cleaning. In most of my career, I’ve used very well-behaved data sets like the General Social Survey. In Dhaka, most of the students were dealing with what initially seemed to me very disorganized spreadsheets. Their data had all the numbers stored as text, inconsistent capitalization, and in many cases were half “long” format and half “wide” format. I found it amazingly satisfying to teach these doctors how to take messy, complicated epidemiological surveillance data and turn them into something they could really use. There were one or two students who had been unable to make any progress on their projects for months because of data management difficulties. I had never met data management problems that complicated before. One particular reshape had me pulling my hair out and took me almost two hours to figure out. But I have rarely—maybe never—been as satisfied in front of a computer screen as the moment I finally got it. Over the five days of the course, we covered a great deal, from t-tests, to logistic regression, to complex survey analysis. I especially enjoyed teaching these eager, energetic young doctors because they knew exactly how they were going to use these skills to make a difference in their country. Boarding the flight to return home, I was so grateful that my love of Stata had taken me to such an unexpected place. I hope I made as much of an impact on my students as they and their country made on me. 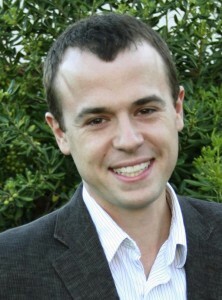 Stephen Vaisey is an Associate Professor of Sociology at Duke University. For Statistical Horizons, he regularly teaches a seminar on Treatment Effects Analysis.